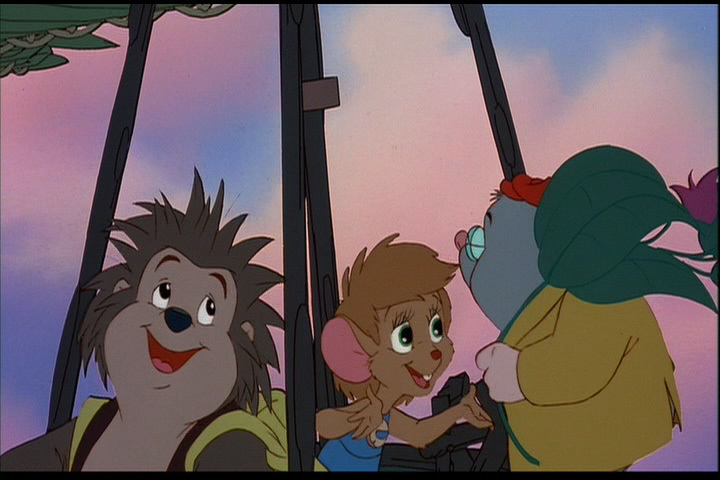 Summary: A cute family movie from 1993, this was one of the ones I fondly remembered when growing up. The cast is a set of woodland creatures that have to go on a journey to find a plant needed to save their sick friend. 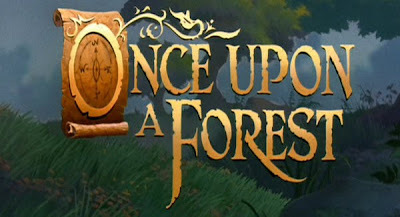 A sweet film with a typical coming of age tale and overtones of responsibility lessons. 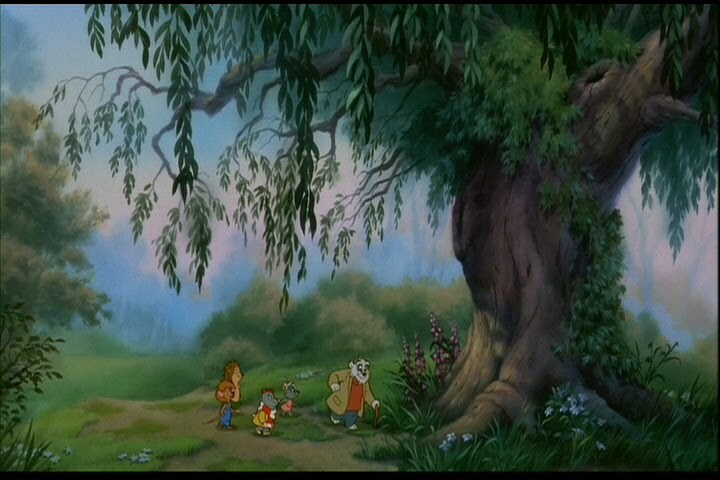 Story: The young woodland creatures are called 'furlings' and are all expected to attend a sort of furling school. Like many other features with woodland critters, the evil MAN. They are constantly referenced as doing terrible things that cost the lives of the dear little woodland creatures, such as orphaning innocent furlings, and destroying beautiful meadows. Though unlike many others, the evil MAN actually had a moment at the end that seems to show a far more redeeming quality to them kinda saying 'hey, we've done some stupid things, but we're doing what we can to make things better'. It's one of the things I found the most memorable about the movie and what keeps it from being like all the others. Characters: First of all, the thing I was really happy about with this movie was that the names of the characters were real names, so to speak. Too often in family movies, when you have animal characters they tend to be named after the animal themselves or some pun based on what they are. So, hearing names like Abigale, Russel and Edgar make for a nice change of pace. A few other aspects that seem to break the usual mold set for most children's movies is that the sort of leader of the group is a girl, the mouse Abigale. What is even more surprising, is that she isn't really targeted as a romantic interest, even though she does flirt in a few scenes. The other two characters, Russel the Hedgehog and Edgar the Mole really don't stand out as much. The other problem is that there is very little development for the characters. It feels like they attempted to do it but fell short. Most of their learning experiences, or at least that's what they seemed like, felt half-hearted. There isn't much that attaches you to the characters or makes you feel for them. Even though the movie was barely over an hour, I still feel like they could have done more with the time given. 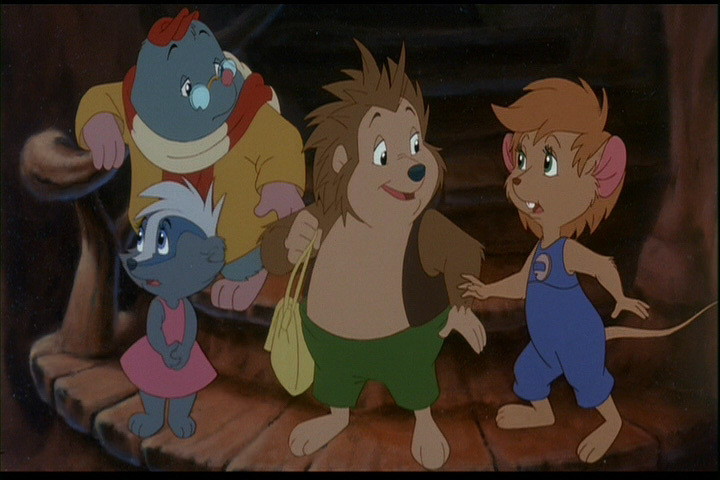 Voice Acting: There are times where the voice acting can be a bit over-emotive, Probably the best performances came from Benji Gregory as Edgar the mole and oddly enough Will Estes as Willy the Squirrel. Even though the part was small, I felt it was executed well. Soundtrack: I can't really say any of this was truly remarkable, it's nice music but simple. There are also a total of 2 musical moments in the movie as a whole. 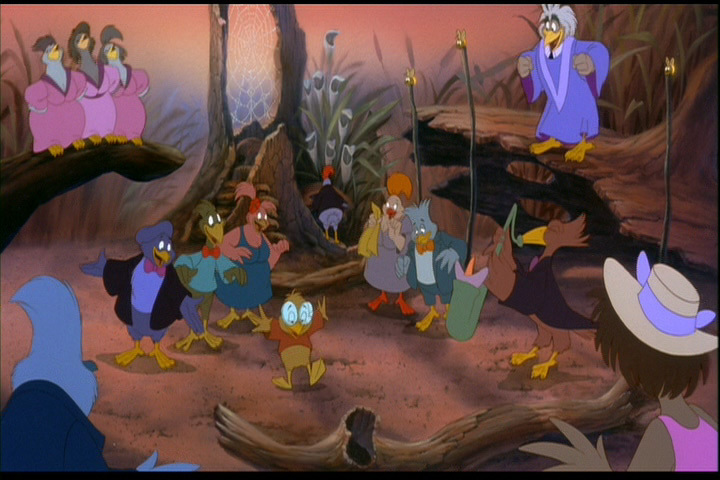 The best part has to be the overly religious birds and their southern baptist singing. It's quite catchy and probably one of the most memorable songs of the movie. The ending theme is also rather cheesy and very 90's. Honestly, this probably one of the most fun parts about the movie. Quality and Style: The style in general is vaguely Disney-esque, though many movies did try to feed of the Disney fame. In regards to animation quality, it's alright, not terrible, but it could have been smoother. The character animation is decent, though a bit choppy at times, likely using the minimal amount of frames to get the motions across. To kids this won't be a big deal, but most of those more picky about animation will notice. And something else I have to pick at are the moments where the characters really don't feel like they're moving on the ground, and almost look like they're floating slightly while walking or running. There were also moments where frames for the character animations didn't seem to look right against the background, but it was only for a few moments. It's not painful to see but it still could have been a bit better. However the details in the painted backgrounds really look great. Conclusion: While it's not the most amazing movie in the world,If you have kids, it's likely something they will enjoy and remember fondly. I was also pleased with how the story about MAN was taken, as it was a bit off the beaten path. Though at the same time, you may not want to go well out of your way to find it.